I've been told that pigs don't jump or climb, but this one wants her dinner! awww. I want pigs so bad but my husband is really reluctant! These are short-term residents, Tamara, destined for the freezer. Our previous pigs were always getting out and being a big nuisance and I was happy to see them go. 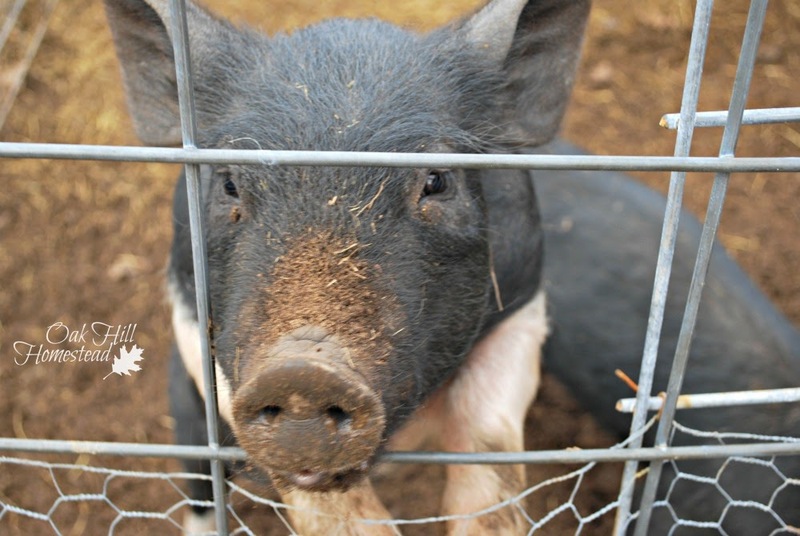 These are friendlier, calmer, and we've upgraded our pen fencing. I might be a little sorrier when their time is up.